71. Where Caching Configuration Is Stored? 72. 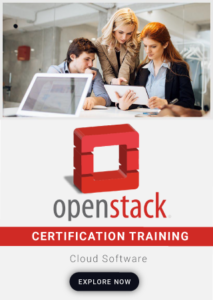 What Is Alarm In Openstack ? 73. How To Migrate Running Instances From One OpenStack Compute Server To Another OpenStack Compute Server? 74. How You Can Change Behavior Of Dhcp Server? 76. What Is Use Of Account Reaper? 77. What You Will Do In Case Of Drive Failure? 78. What Does It Mean For The Cloud Ecosystem? 79. Mention What Are The Three Components That Make Modular Architecture Of Openstack? 80. What Is Identity Service In OpenStack?